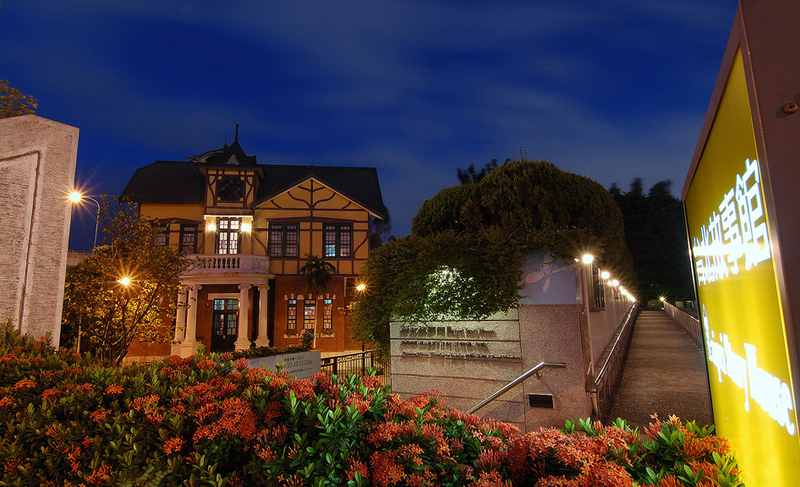 During the Japanese colonial period in 1913 - 1914, a prominent tea merchant named Chen Chao - Chun constructed this Western style building on the banks of the Keelung River, overlooking the scenic forested hill of Yuan Mountain (Yanshan) on the northern edge of Taipei. 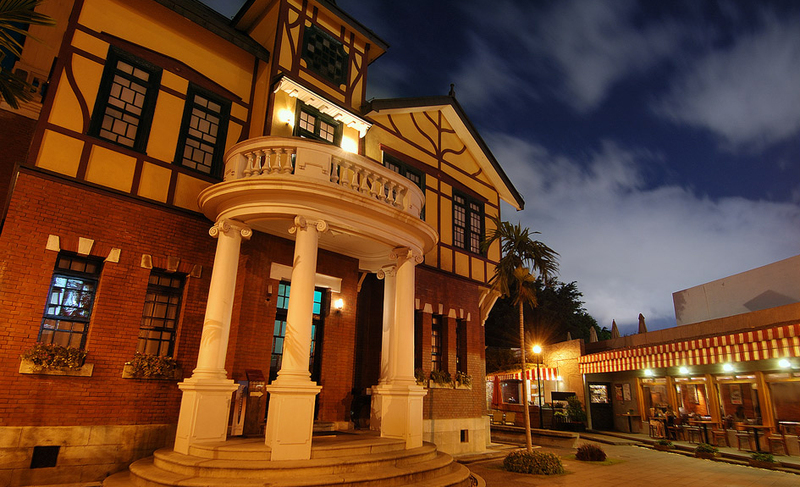 The building served as a meeting place for Taipei's local gentry, political figures, and tea merchants. Since then, the Villa has gone through many changes. After Taiwan was returned to China in 1945, it was once used as a residence by Huang Kuo - Shu, former President of the Legislative Yuan. It also at one time served as an art gallery. 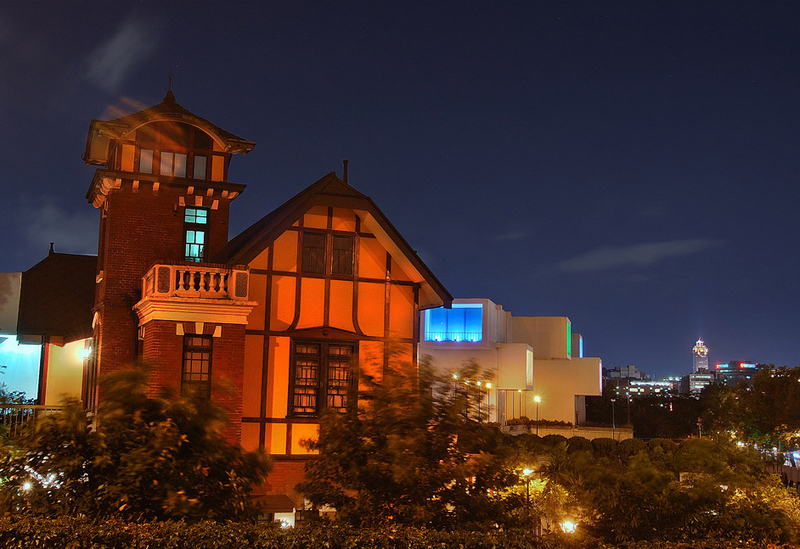 In 1979, the building was purchased by the Taipei city government and managed by the Taipei Fine Arts Museum. In 1990, it was converted into an artist activity center, a role that it played until 1998 when the Villa was formally designated a historic site and closed down for renovation. The first storey of this lovely Western-style building is constructed from brick, while the second storey is fashioned in wood. The building's facade is adorned with branching wooden beams, in the style of English Tudor-style architecture. The villa's staircase is constructed like a mini-pagoda, its roof fashioned from copper plates, the surfaces of which are discolored with a green patina of age. The area over the entrance is adorned with green, yellow, and red stained glass. Inside the villa are lovely fireplaces, as well as hanging lanterns and tiles with floral patterns in bas - relief. These architectural forms are very rarely seen in historical Taiwanese structures. The first storey of this lovely Western-style building is constructed from brick, while the second storey is fashioned in wood. The building's facade is adorned with branching wooden beams, in the style of English Tudor style architecture. The villa's staircase is constructed like a mini-pagoda, its roof fashioned from copper plates, the surfaces of which are discolored with a green patina of age. The area over the entrance is adorned with green, yellow, and red stained glass. Inside the villa are lovely fireplaces, as well as hanging lanterns and tiles with floral patterns in bas - relief. These architectural forms are very rarely seen in historical Taiwanese structures. Nat’l Hway 1 →Exit at Yuanshan Interchange → Songjiang Rd. → Minzu E. Rd. → Sec. 3, Zhongshan N. Rd. Take the THSR or TRA to Taipei Station, transfer to the MRT to Yuanshan Station.